After a hard day’s work, what’s better than coming home to a nice cold bottle of hard apple cider (or some people might think, anyway). You know what’s not nice? When that bottle breaks or overflows upon opening. For that reason, Angry Orchard Cider Co. has recalled select cases of its adult beverages. The Cincinnati-based brewing company announced Wednesday that it would recall select 12-packs and six-packs of its Crisp Apple Hard Cider after receiving reports from consumers who experienced bottles that overflowed when opened or broke unexpectedly. According to the company, two batches of the cider produced in June are likely re-fermenting in the bottle, which can result in increased carbonation levels. That could then lead to the cider beer overflowing or creating enough pressure to break the glass container, which could potentially be hazardous. “While the impacted cider poses no health risk if consumed, the team at Angry Orchard took this measure to ensure that products available to consumers meet their high quality standards,” the company states. Angry Orchard has notified retailers where the beverages were shipped – including Alabama, Arkansas, Colorado, Illinois, Indiana, Iowa, Kentucky, Louisiana, Michigan, Minnesota, Mississippi, Missouri, Montana, Nebraska, New Mexico, North Dakota, Ohio, South Carolina, South Dakota, Tennessee, Texas, and Wisconsin – to remove the products from their shelves. 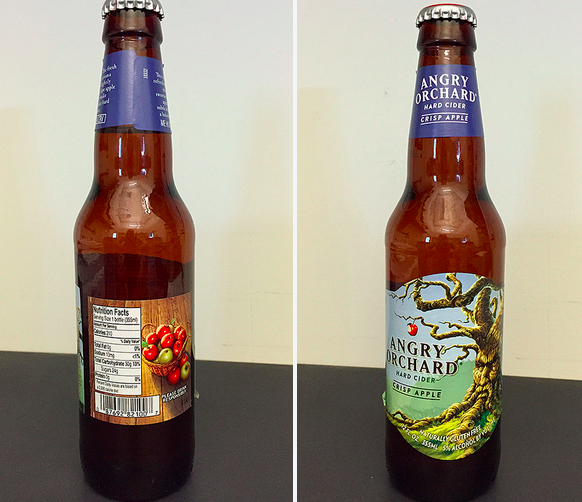 An example of where the “Freshness Matters” code can be found on an Angry Orchard bottle. The affected six- and 12-packs can be identified by the “Freshness Matters” code printed on the top or side panel of the case. If that code begins with “June 2016 1665C” and is immediately followed by 4 digits between the range of 0001 through 0700 OR “June 2016 1805C” and is immediately followed by 4 digits between 0001 through 0545, those bottles may have been impacted. Individual bottles, which should be handled with extreme care, can be identified by a code printed directly on the glass just below the neck label. If that code falls within the ranges of C16650001 through C16650530 OR C18050001 through C18050415, that cider may have been impacted. If a bottle of the Angry Orchard Crisp Apple Hard Cider falls within the designated code ranges, consumers should handle with extreme care and dispose of the product immediately in an outside container. The company says it will issue a full refund on the products described above.